The entire process of identifying the presence of molds with the aid of scientific measurements is known as mold testing. This entails carrying out appropriate tests using certain techniques to get to the bottom of everything. Mold testing techniques make it possible to determine the kind of mold species present in a particular place. This is one of the most conventional practices used by many experts when testing air for the presence of molds in a laboratory. In essence, a plastic cassette is used to draw in air in a particular place such as warehouse or store. Air drawn is drawn for a specified amount of time. It is important to note that during this process, molds as well as other particulates are usually on a slide as air is drawn. The air drawn simply impacts the mold present on the slide. In that case, the slide is later put into a microscope. A technician carrying out the inspection will count the number of mold spores and try to figure out the species that are present. It is not usually possible to determine the precise number of mold species using this method. This method is not as common as the non-viable air testing method. However, it offers more information as compared to other techniques for mold collection and testing. The biggest advantage of this method is that it allows you to distinguish mold species with similar characteristics and appearances. This makes it an effective technique for contrasting results when conducting mold count in a particular area. This method also has its setbacks and it mainly revolves around cost. Viable air testing method is costly and time-consuming. It requires several types of media to provide an ideal growing condition for each type of species. As the name suggests, this testing technique is usually carried on a suspect material with a view of determining mold growth and type of species present. As such, its main focus is on qualitative outcome rather than quantitative. The method is divided into sub-categories that can be used for a particular purpose. These techniques include bulk material, tape lift, dust sampling and swab sampling. When it comes to mold testing kits, you may interested to know whether there is actually any different between the mold testing kits used by professionals and the ones that are available in the local hardware stores. Well, there is actually a difference between the two. If you planning for DIY mold testing, Petri dish sampling method will be one of your best options. On the other hand, experts rely on different kits to get a good outcome after an inspection. They mostly use a calibrated pump that draws in air and passes it through the petri dish. On the contrary, you have to leave your DIY kits in the open air for days to allow gravity to bring down spores to the plate. DIY makes it hard to quantify data because the variables cannot be effectively controlled. This means you stand a good chance of getting the best results for mold testing in Toronto with professional assistance. 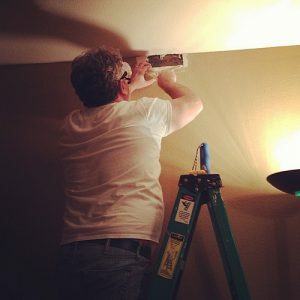 It is important to ensure you get the right results when carrying out mold inspection. This puts you in the best position to take an effective action to remedy the problem. For minor cases of mold at home, you can use DIY methods. However, you are going to need professional help for serious mold infestation cases.